Gather the family around the television for a nostalgic television trip down memory lane. 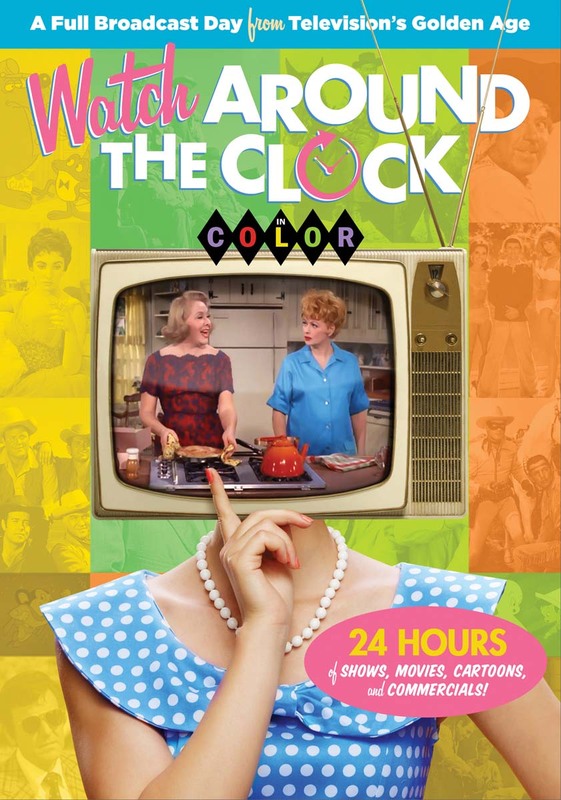 This incredible 5-DVD collection features non-stop programming from the Golden Age of Television as if you've gone back in time, but this time IN COLOR! Starting with early morning cartoons for the kids, daytime programming which includes all your favorite game shows, then all your favorite prime-time hits during the evening and then into the wee morning hours with star-studded movies all complete with commercials from the era. It's an experience like none other!